How do I assign a function to a button so that when it clicks, it displays a string onto a Text() window? I am trying to make a GUI program where I assign a function to a button so that when pressed it returns a text. However, I am having trouble doing so. 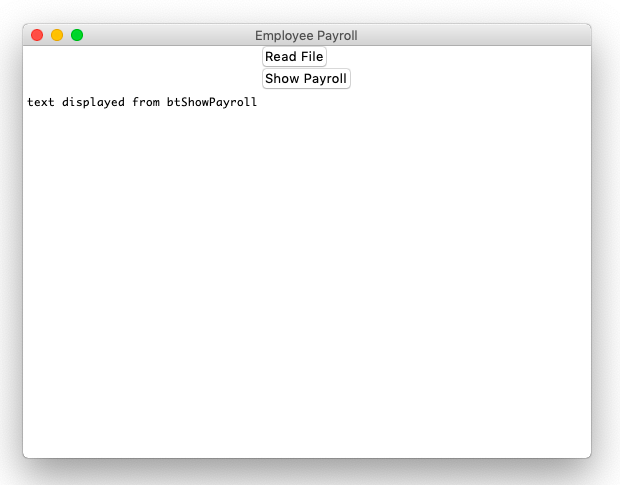 text.insert(END, "text displayed from btShowPayroll") #when btShowPayroll is pressed I want it to display text here! I have solved your problem. To do this make a method/function of the PayrollSummary class called 'printpayroll' and make it insert the text 'text displayed from btShowPayroll' into the text box. 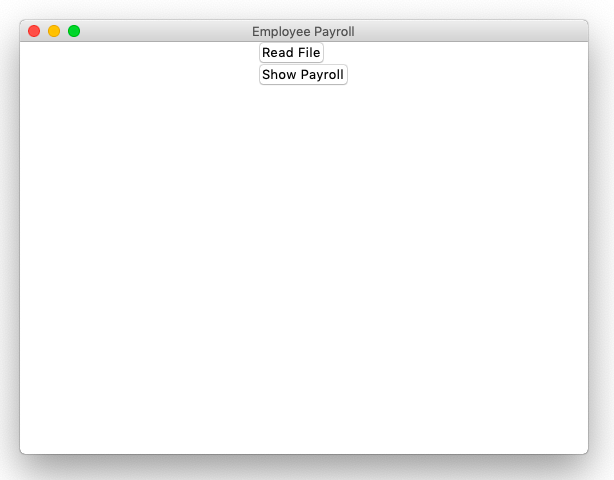 Make the command of the button 'lambda:self.printpayroll()' so that it runs the method/function. self.text.insert(END, "text displayed from btShowPayroll") #when btShowPayroll is pressed I want it to display text here! As you can see, what you wanted to happen happened. The text is outputted onto the screen. This happens because the text is inserted into the text box. I recommend you create the window of the program outside of the class because it would be better to make your program only have one window and then multiple frames for each GUI screen of the program. I recommend adding self. before a lot of the tkinter widgets you created in your class so that they are created as attributes of objects that are created as instantiations of the class. I hope this extra information helps! self.text.insert(END, "text displayed from btShowPayroll \n") #when btShowPayroll is pressed I want it to display text here! Not the answer you're looking for? Browse other questions tagged python python-3.x tkinter or ask your own question. How to connect the Calculator GUI to the graph GUI?